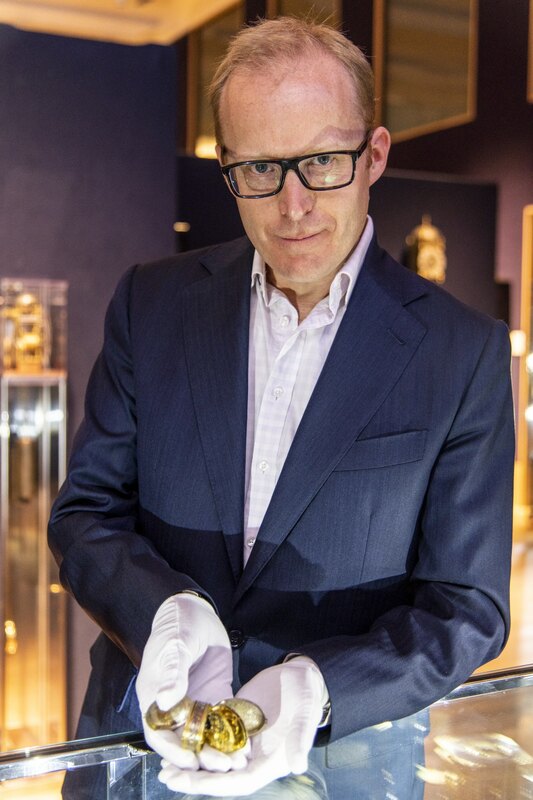 The UK’s best known watchmaker, Roger Smith OBE,(https://www.rwsmithwatches.com/)visited the Clock Exhibition at Bonhams and examined two very famous, historical watches, rarely seen by the public as they are part of a private collection owned by Dr John C Taylor OBE. One is a Thomas Tompion watch from London dated 1697. It is the best preserved of Tompion’s early repeating watches, the innovative movement being concealed from prying eyes by the employment of secret secure latches. Pre-balance-spring watches were generally single-handed, but in this superlative production by the era’s premier maker, its accuracy justifies two hands, for hours and minutes, read against boldly set out numerals. The Tompion has a top that can be pressed to ring out the first quarter hour that has just passed and the hour that has just passed. The second is the technologically advanced DavidRamsay royal watch – precisely 300 years old this year and made for a King.The silver case upper and lower covers are engraved with scenes from St Luke’sGospel. In contrast, the inside of the top and bottom covers has engravings of theRoyal coat of arms and a superbly clear Royal portrait of James 1 himself. The dial has so many features, including the age of the moon in days, the phase of the moon and the planetary hour. Both watches were handmade by craftsmen who even made their own tools to create these masterpieces. 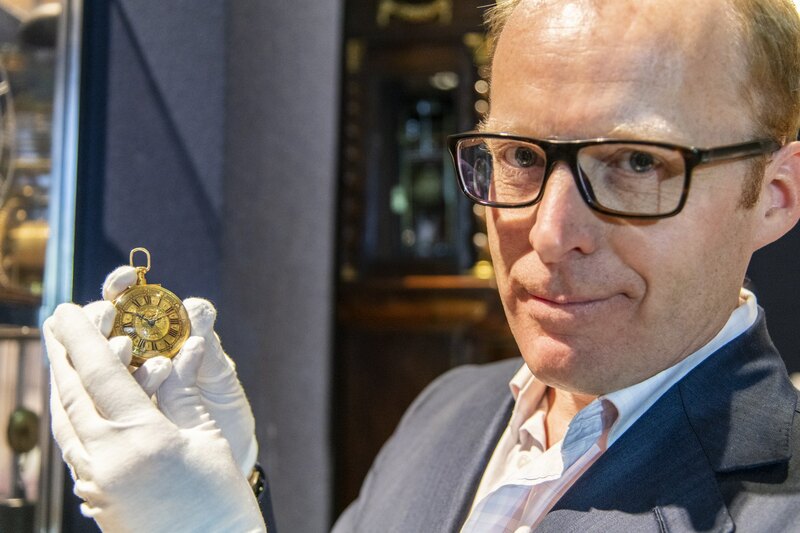 Roger W Smith was awarded an OBE in the Queen’s Birthday Honours list in June 2018, for his outstanding services to watchmaking. The exhibition is considered to be best collection of clocks for several decades, with many historical clocks seen together for the first time. A flavour of the exhibition can be seen here (although film alone cannot express the beauty of the timepieces).